Our high precision machining philosophy is simple – make the part complete on the machine without costly secondary operations. Our master machinists design tooling and programs to maximize precision and speed when machining precision components – providing a consistently higher quality product at a cost savings, giving you the competitive edge. 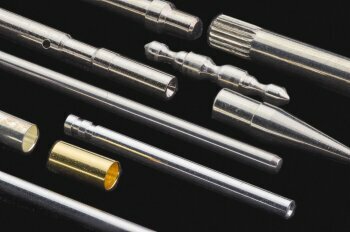 We produce high precision components in all sizes - from subminiature components (.010” diameter) to large parts (up to 1.50” diameter) from a variety of materials. Close tolerances of ±.0005” on a part are achieved routinely on the machine. Tolerances of ±.0002” well within our capability. All our production comes complete with lot traceability, material certifications, SPC documentation and is backed by our ISO: 9001:2008 certification. Whether you need large or small machined parts, we can provide a cost effective solution if there are tight tolerances. Tolerances of ±.0005” are routine for us with tolerances of ±.0002” well within our capability. We constantly push the limits of high precision Swiss screw machining by drilling deep, tight tolerance holes in various materials. We routinely machine 20:1 (length: Ø) drilling ratio from copper alloys. We machine primarily solid stock providing better control over circularity, tolerances, and total runout. 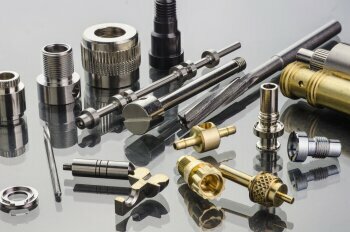 Large or small, even if your part does not have tight tolerances, Micro Precision can help. 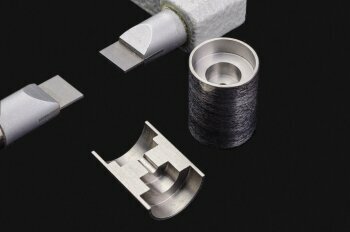 With our “complete on the machine” philosophy, complexity or challenging geometry alone can make Micro Precision Components a cost saving solution. We offer a full range of threading capabilities. 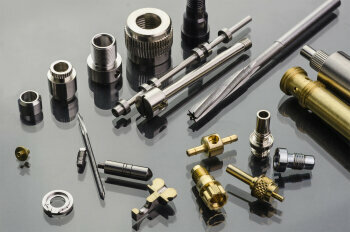 We are able to machine threads of 000-80 size up to ½-20 and larger. Extra fine threads to pipe threads are all standard operations for us. 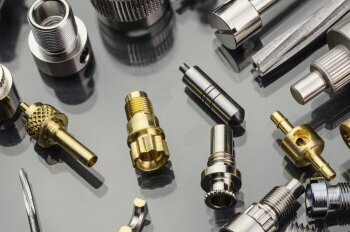 We slot and crimp parts from various materials such as the Brass, Phosphor Bronze and Stainless Steel parts shown on our sample pages. We can produce slot widths of .015″ or less, when required.